Chinatown in Bangkok is centered around Yaowarat Road. 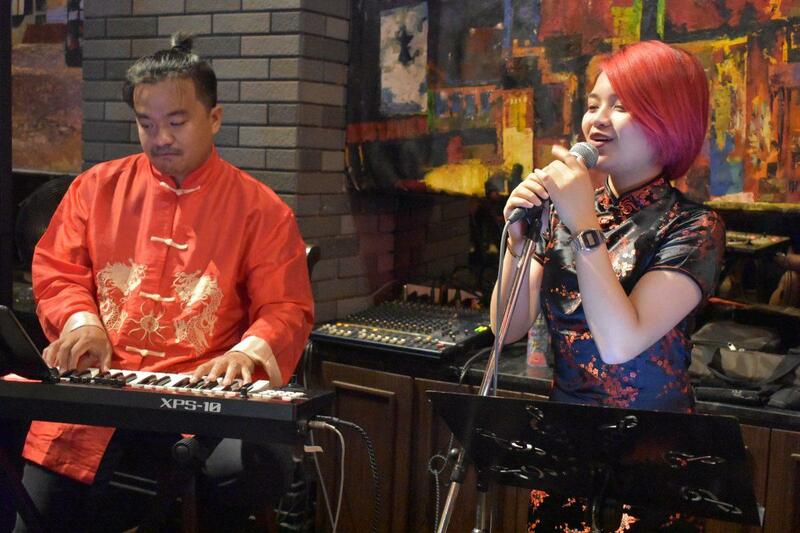 It’s a vibrant, colorful area with its bustling street markets, gold shops, Chinese restaurants, shrines, temples, old shop houses, Chinese language neon signs and maze of narrow alleyways. The area has kept its cultural identity intact and thankfully avoided commercial redevelopment. Examples of well-preserved colonial style architecture are abundant. The entrance to Chinatown is the China Gate which stands on an Island in the middle of a 5-way intersection known as the Odeon Circle. 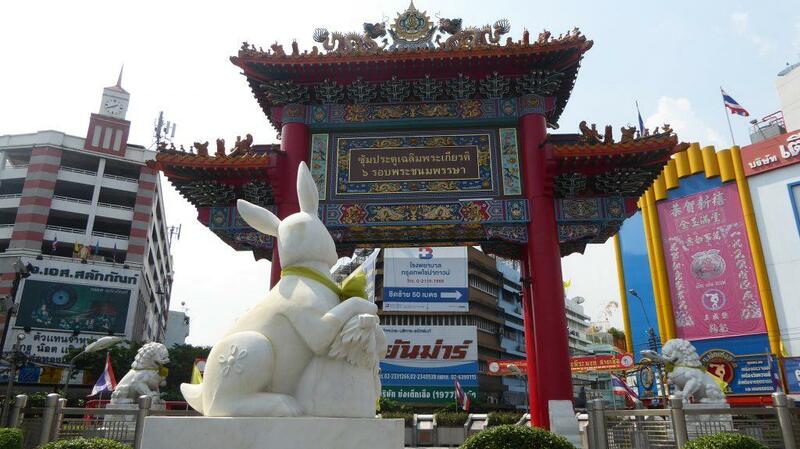 Around the gate are two lion statues and a rabbit made from white jade. Locals believe that putting your wallet in the lion’s mouth will bring you good luck and wealth. The rabbit was a gift from China to celebrate the year of the rabbit in 2011. Yaowarat road is one of the five roads branching off the circle and is Chinatowns main thoroughfare. Chinatowns main cultural sites are Wat Traimit and Wat Mongkon Kamalawat. Wat Traimit is home to the world’s largest golden Buddha statue weighing in at 5.5 tonnes and dating from the 13th century. Apart from the Buddha, there are good views from the top of the temple. 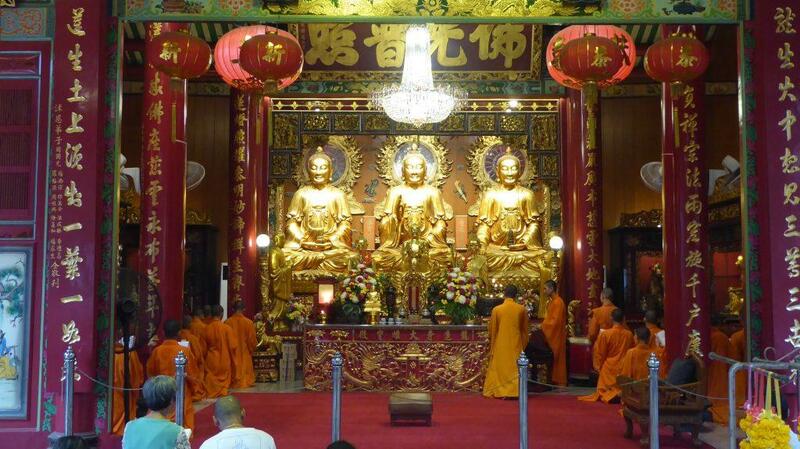 There is also a pair of museums dedicated to the origin of the golden Buddha and the history of Chinatown in Bangkok. 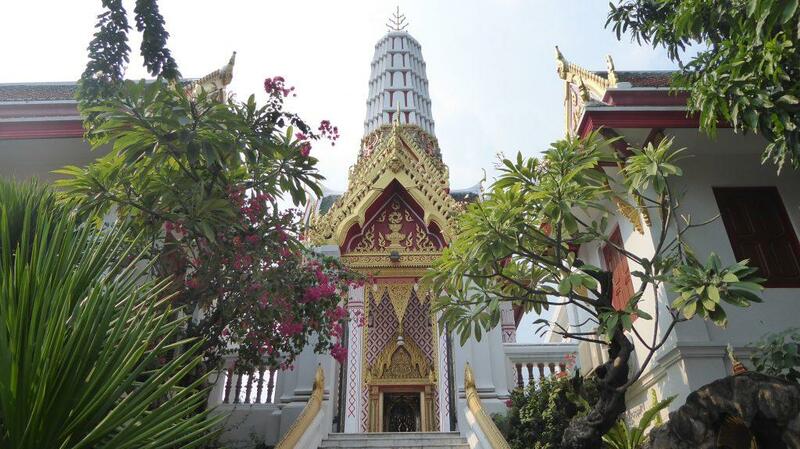 Wat Mongkon Kamalawat also known as Wat Leng Noei Li is the most important Chinese temple in Bangkok featuring Buddhist, Taoist and Confucian shrines. 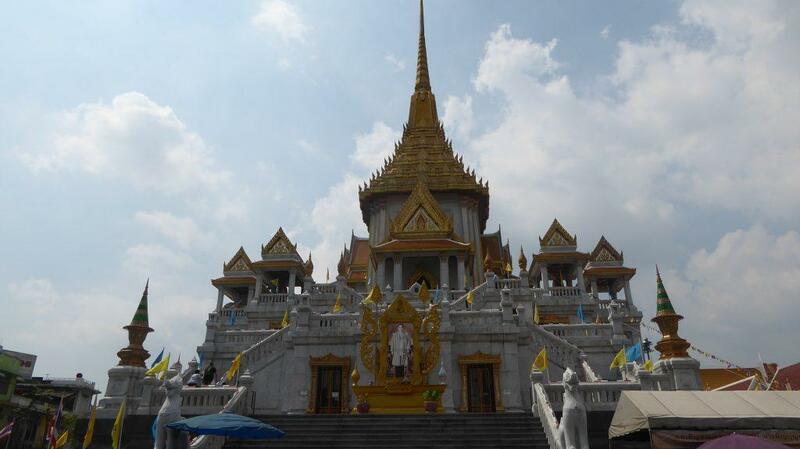 The temple is usually busy, but with local Thai-Chinese people and not tourists. They come to make merit, pray for health, wealth and burn paper offerings for their ancestors amid the smell of burning incense sticks. 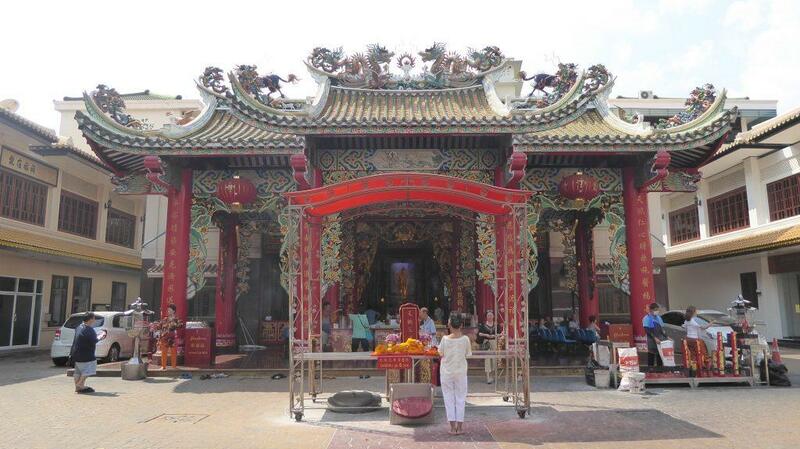 The temple is a major center for celebrations during Chinese New Year and the annual Vegetarian festival. There are several other smaller Chinese shrines around Yaowarat including the Thien Fah Foundation which is a charity that provides free traditional Chinese medical care to the needy and features a shrine to the goddess Guan Yin known in English as the goddess of mercy. The Guan Yin image originates from China and is over 800 years old. Another Buddhist temple worth a look is Wat Chakrawat which can be found on Chakrawat road on the border with Phahurat. The temple is famous for its family of resident crocodiles who live in an enclosure in the grounds. The temples other points of interest is an image of the Buddha’s shadow and a fat Buddha image with an interesting story! Central Yaowarat road is busy with commercial activity lined with businesses selling Chinese medicine, gold, jade, ceramics, and foodstuffs mostly imported from China. Soi Yaowaphanit is Bangkok’s shoe wholesale center with over 70 shoe shops in the vicinity. Chinatowns main shopping drag is Sampeng lane also known as Soi Wanit 1, a narrow alley that runs parallel to Yaowarat all the way to Phahurat. It’s a crowded strip of small wholesale shops and plazas selling mainly cheap everyday goods and accessories mostly imported from China. 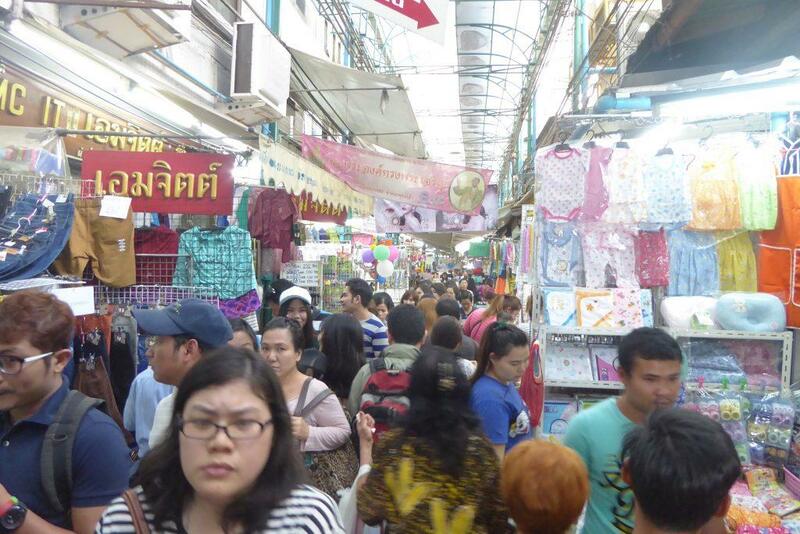 Khlong Thom Market is nearby but is not really a tourist market but more of a place where locals buy everyday goods. Knockoffs abound from DVD movies to brand name clothing. Children will love the 5-story toy mall Mega Plaza. 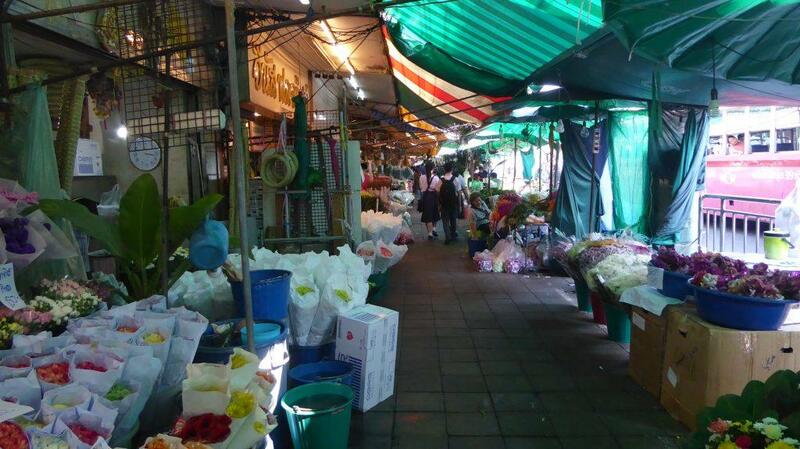 Between Chinatown and the Old City is the Indian district of Phahurat, and the Pak Khlong Talad flower market. Chinatown in Bangkok is also famous for its food and people from all over Bangkok come to dine here. Yaowarat Road has many restaurants serving up Chinese favorites such as duck, sharks fin, birds nest, and dim sum. 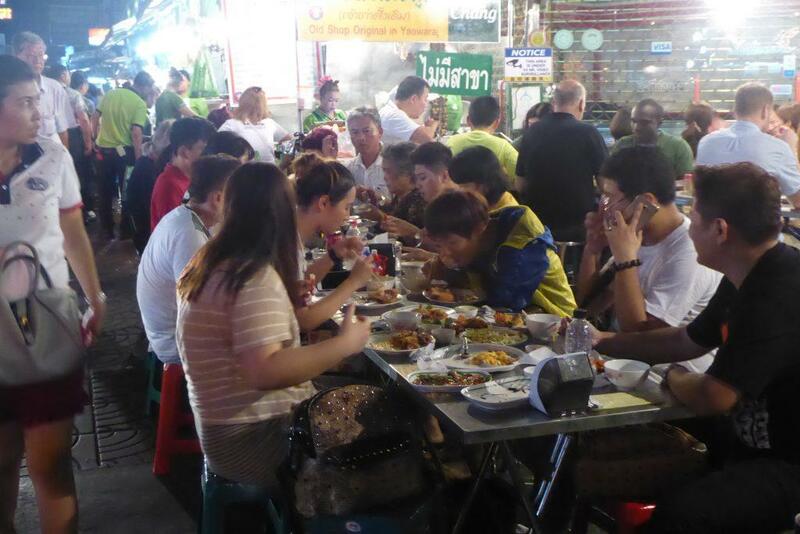 After dark street food takes over with many street side restaurants popping up. Several places around Soi Texas serve up delicious reasonably priced seafood. The Grand China hotel at the Ratchawong intersection has a revolving rooftop restaurant featuring a Chinese buffet accompanied by a pianist. 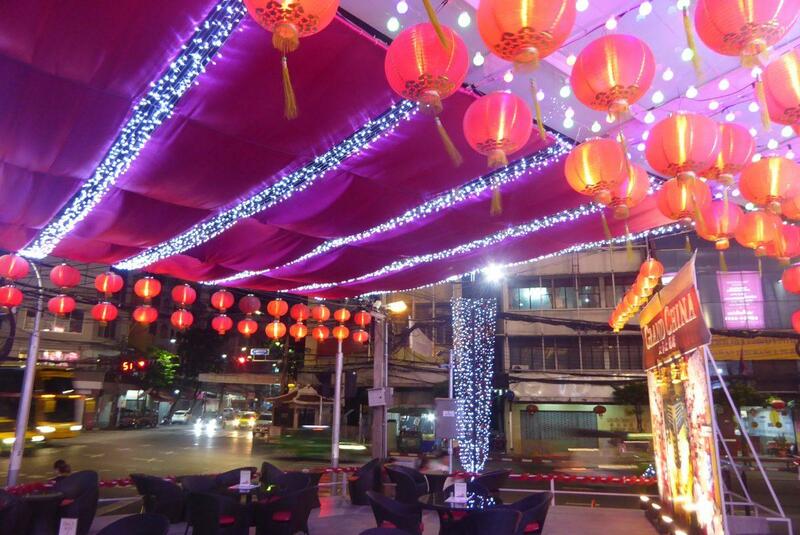 Chinatown isn’t a nightlife center but there is a clutch of bars around Soi Nana. 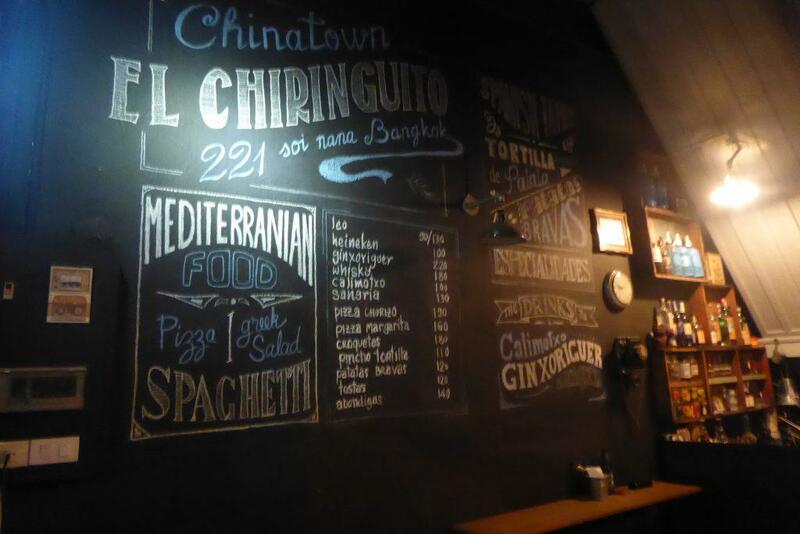 El Chiringuito is a small shop house bar serving Mediterranean tapas, Teens of Thailand is a gin bar, while Tep Bar features live traditional Thai classical music and specializes in cocktails mixed with Thai rice spirit. 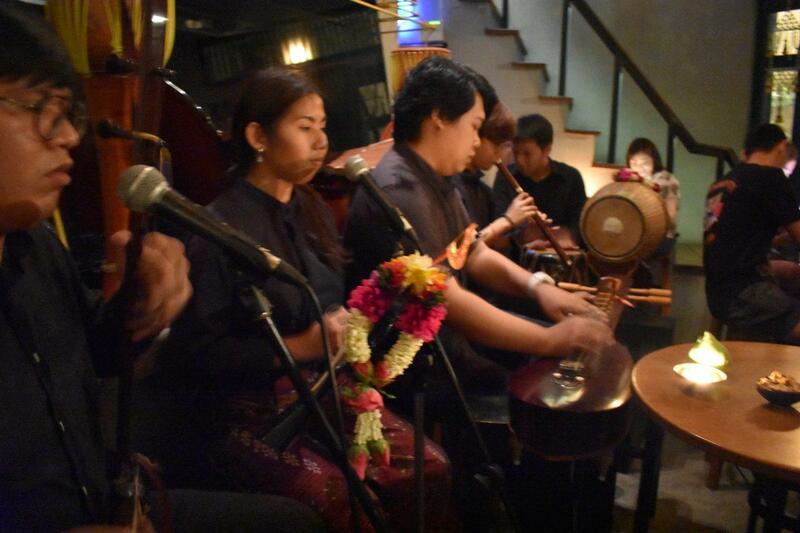 Let the Boy Die is a local bar on Luang Road featuring Bangkok brewed craft beers, bar food and live music. 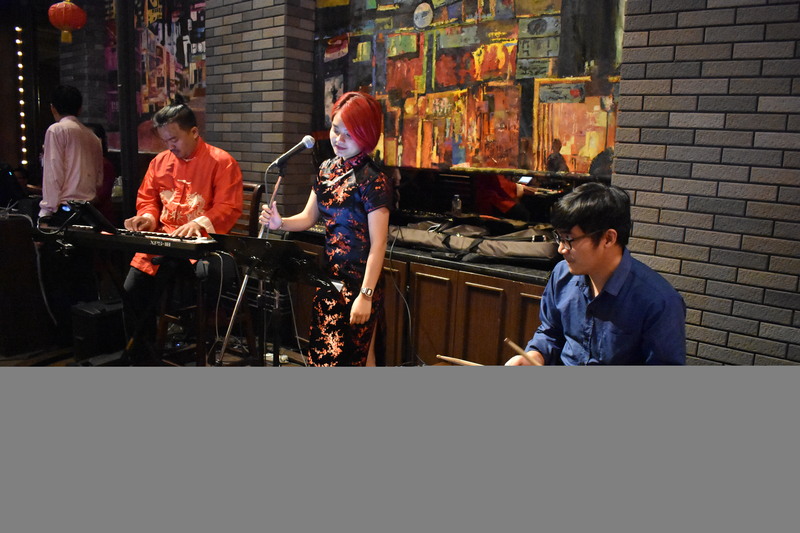 On Yaowarat Road Shanghai Mansion has a nice bar looking on to the street with nightly live Jazz, blues and pop covers. 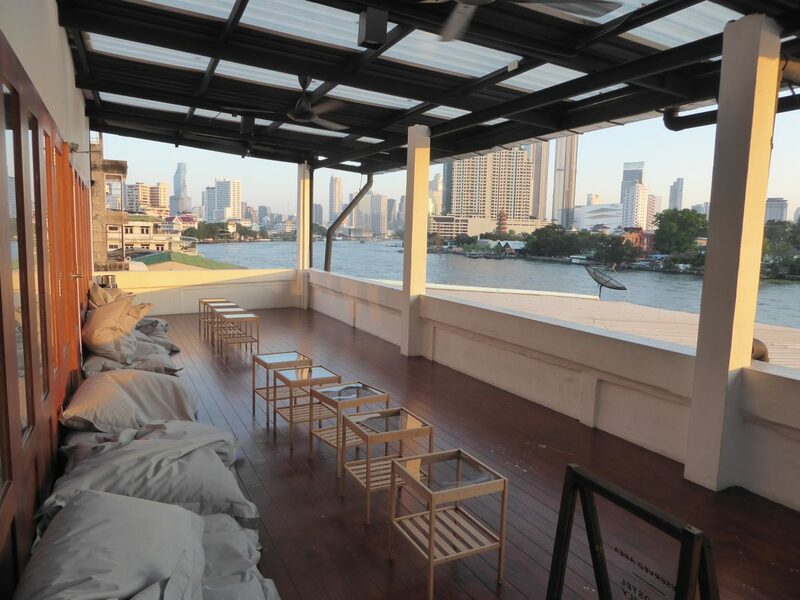 Samsara on the riverside is a cool hang out with craft beers and Thai-Japanese food. 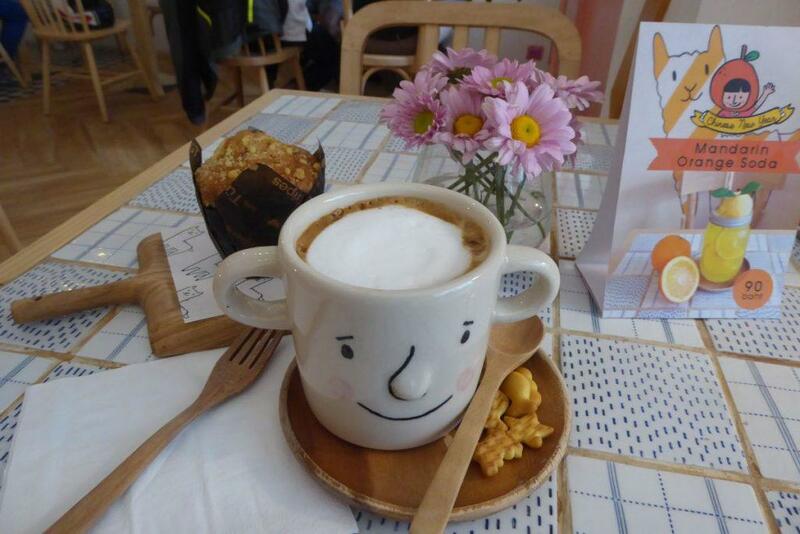 Chinatown has many traditional Tea and Coffeehouses but if you want a good Cappuccino or Latte head for Nahim on Soi Nana who also serves cakes and small meals. 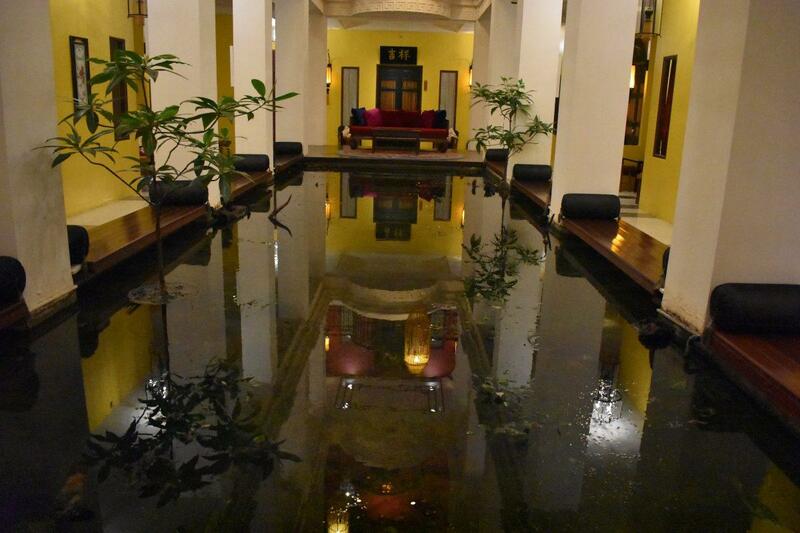 If you’re looking to stay in central Chinatown in Bangkok there are not that many accommodation options. 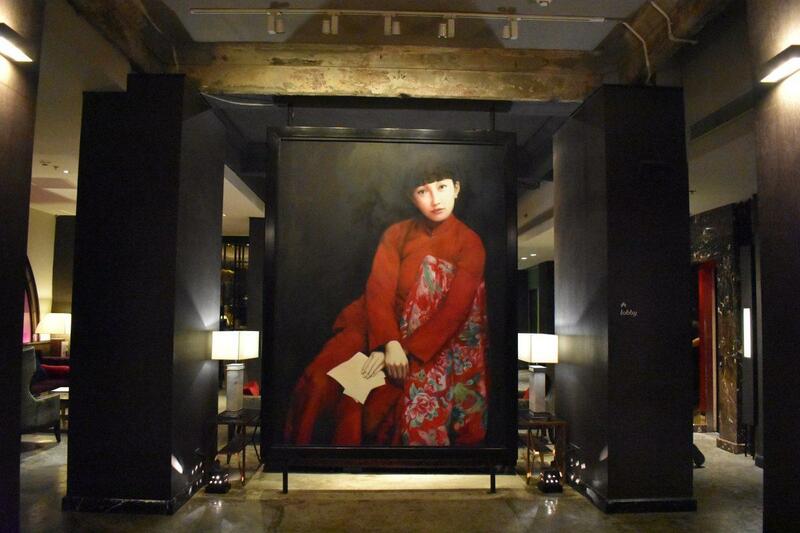 The best hotel in the neighborhood is Shanghai Mansion, a classy boutique hotel in the heart of Yaowarat Road. It’s full of character with beautiful decor inspired by 1930’s Shanghai. 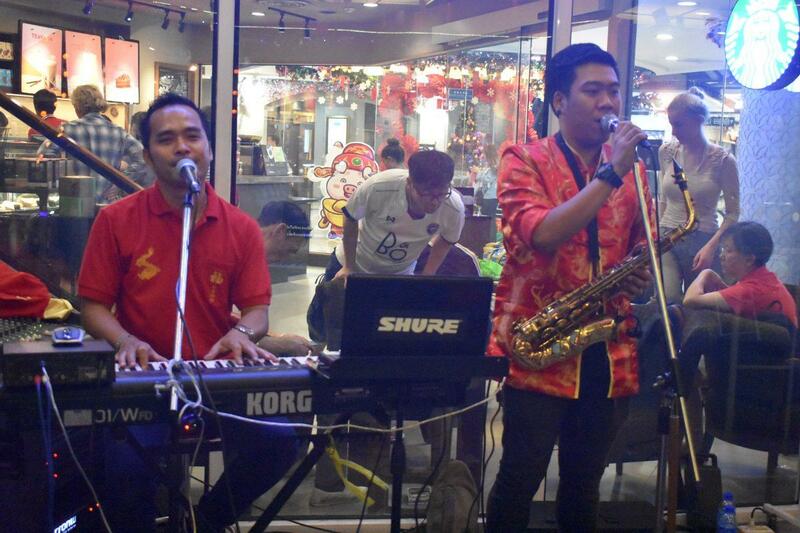 The hotel has a great street side bar with nightly live music and excellent food. 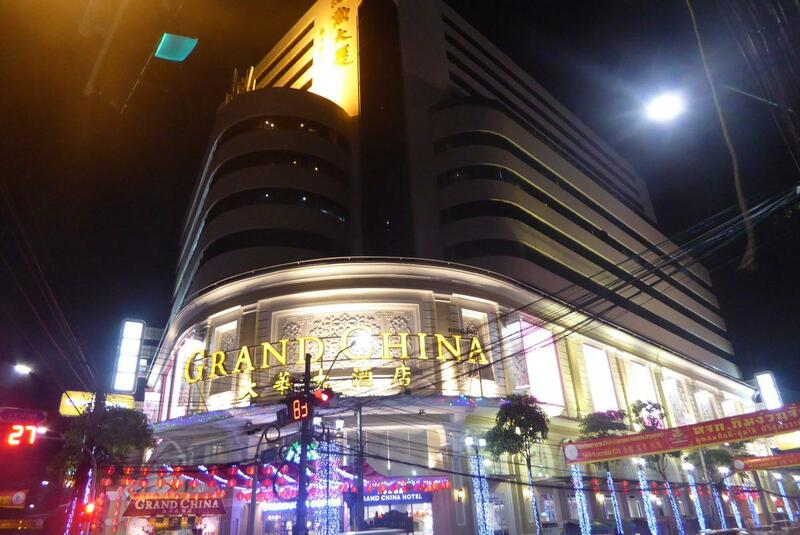 At the other end of Yaowarat Road at the Ratchawong intersection is the Grand China Hotel. 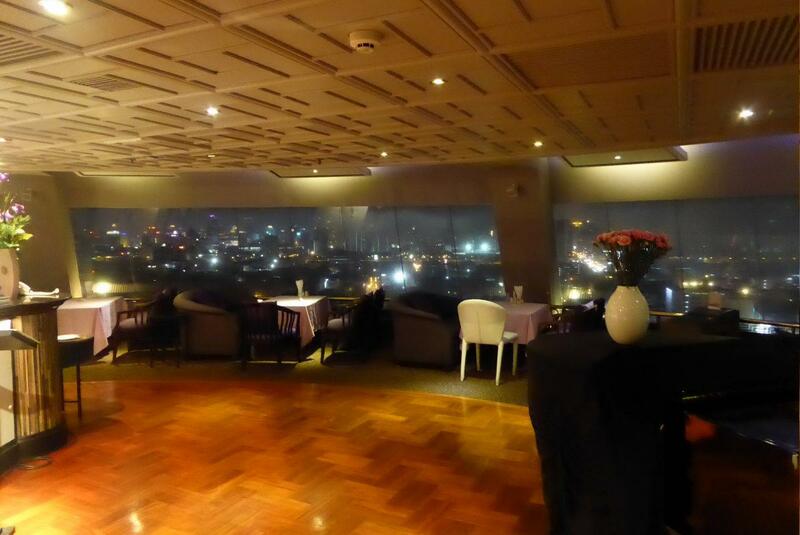 It has a revolving rooftop restaurant, a terrace bar with nightly live music and a branch of Starbucks. 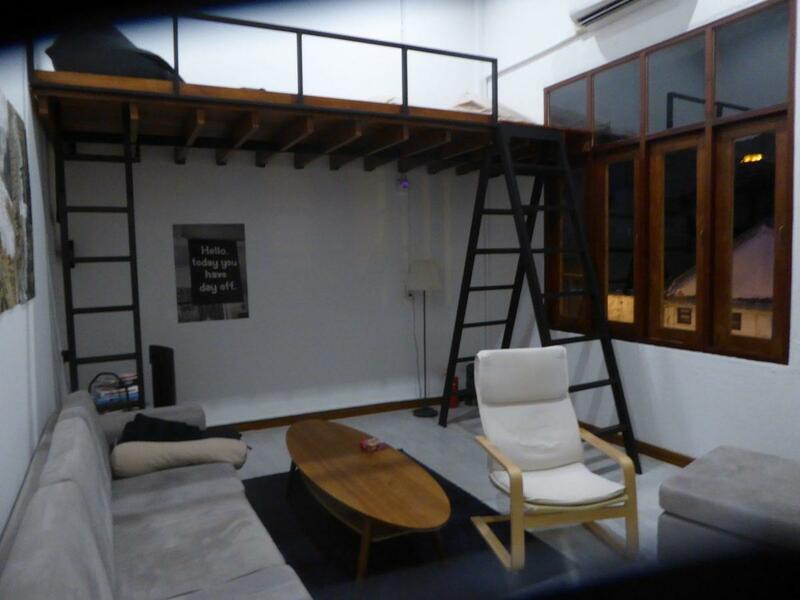 If you are looking for a nearby hostel, Hostel Urby on the riverside is only a 5-minute walk from Yaowarat Road. It’s ultra-modern with curtained bunks, a pleasant social area, a good free breakfast, riverside balcony, and an attached bar and coffee shop. Oh, and almost forgot to mention, a free cocktail at the bar! There are other accommodation options in the area, check here for more details. To get to Chinatown by public transport you can take the MRT to Hualamphong Station (exit 1). It’s a 5-minute walk from the China Gate. The Chao Phraya Express & Tourist Boat both call at Ratchawong pier. 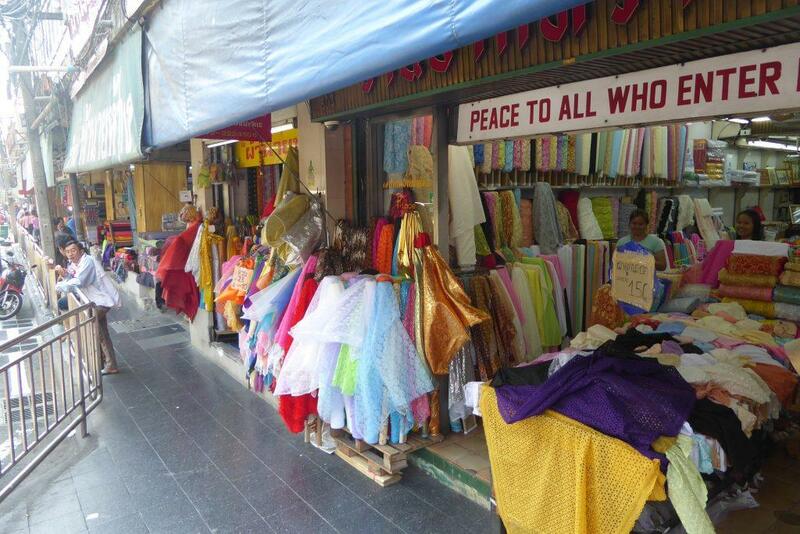 It’s only a 5-minute walk to Sampeng Lane. If you want to take the bus there are several options. The Orange Air Conditioned bus 204 runs via Central World and Siam to Ratchawong Pier. Red Bus 25 runs from Sukhumvit to Yaowarat Road. Blue Bus 4 from Silom (Rama IV) to Yaowarat, and Red bus 56 from Khaosan road to Chakrawat road. Buses that arrive on Yaowarat return via Charoen Krung road due to the one-way system. As always you can always take a tuk-tuk or taxi. Once you get there Chinatown is a compact area ideal for exploring on foot.